Is there anything prettier than fresh Dim Sum? First Blog-Sourced Guide to Vancouver - Be a Part of it! Stephania on May 12, 2011 at 1:27 p.m.
What a great idea! It'll be fun to interact with other travel bloggers. Sonja on May 12, 2011 at 8:59 p.m. I sure hope Blogger starts working again soon so I can post my Photo Friday picture! Wanderluster on May 12, 2011 at 9:04 p.m.
Yum. I'm looking forward to finding out where THAT dim sum is! Mara on May 13, 2011 at 5:49 a.m. I have one word and that is YUM! I love dim sum inordinately. Angela (Travel with a Purpose) on May 13, 2011 at 8:55 a.m. I just want to know what you are about to eat in that photo! It looks yummy delish. Some kind of crepe? Laurel on May 13, 2011 at 9:57 a.m.
Great "action" shot of food, it makes me crave dim-sum. Kerala ayurveda on May 13, 2011 at 10:20 p.m. Such a delicious food to eat, my mouth is watering. Bluegreen Kirk on May 17, 2011 at 9:06 a.m.
Great photo but how is dim sum I have never had that before. 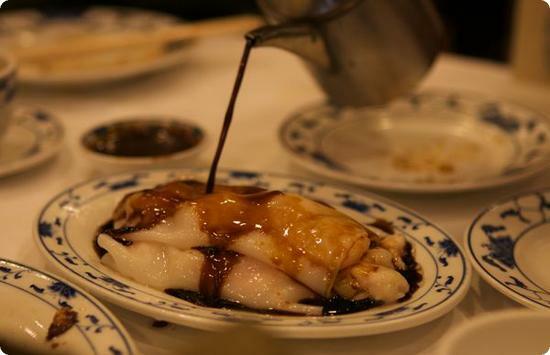 Sophie on May 17, 2011 at 10:35 a.m.
grace @ahead on May 19, 2011 at 10:36 p.m.
dimsum is a chinese dish, bluegreen kirk! it's small portions of flour-paper-wrapped vegetables and ground meat. absolutely delicious! you should try it! nice photo by the way. i'm suddenly craving for some! Bianca Cabo on May 23, 2011 at 3:49 p.m.